We never set out to fall in love with goats. But one night we got the call that two adorable goats needed a home ASAP due to problems involving a neighbor and that’s how we came to welcome Flash & Clover, Nigerian Dwarf Goats, onto our farm and into our hearts. Although Blossom can be a little more shy, all of our goats enjoy meeting new people and playing on their goat playground with children. They walk on leashes and enjoy being Animal Ambassadors for our reading program. 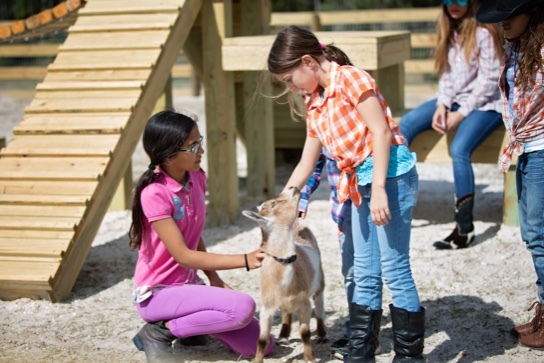 We are convinced that every farm should have at least two loveable goats. Though we don’t know a single person who has been able to stop at just two. The two breeds of miniature goats are Pygmy Goats and Nigerian Dwarf Goats. 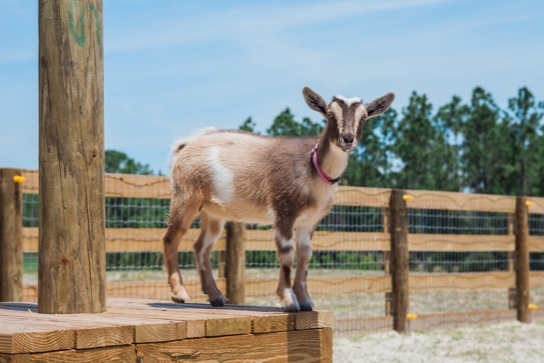 Both make excellent pets and have similar personalities and dispositions, however, the Pygmy goats are bred primarily for meat production and the Nigerian Dwarf Goats are bred for milk production. Nigerian Dwarf Goats originated in West Central Africa. They are excellent milk producers who can produce up to two quarts of goat’s milk a day. The U.S Department of Agriculture has approved the Nigerian dwarf Goat as a livestock dairy goat. The milk they produce is higher in butterfat and has a sweeter taste. The Nigerian Dwarf Goat comes in a variety of colors and measure under 22 inches tall at the withers. Male goats are called Bucks or Billies. Female goats are called Does or Nannies. Baby Goats are called Kids. 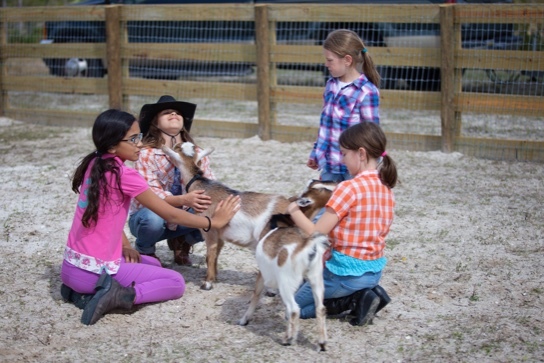 With their intelligence, soft eyes, and big personalities it is no wonder that goats have become very popular. 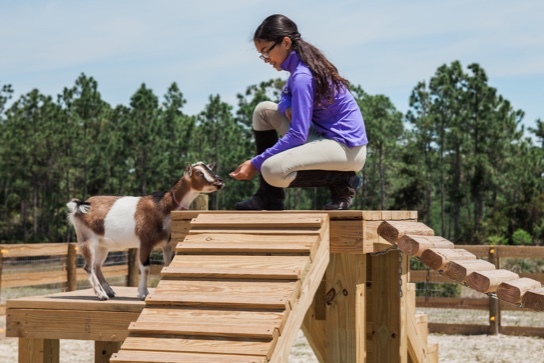 Many goat owners walk their goats on leashes, participate in goat agility competitions, teach them tricks or even use them in goat yoga classes on the farm.